And here is my interpretation of the tag. I used Newton's Nook Designs' Beautiful Blossoms and Newton's Summer Vacation. The flowers were colored with Spectrum Noir markers with a touch of sparkly gel pen. Distress Ink was used to stamp the leaves before adding the flowers with some foam tape. I finished it off with some twine. Your tag sure is pretty. Congratulations on your win, Debbie! 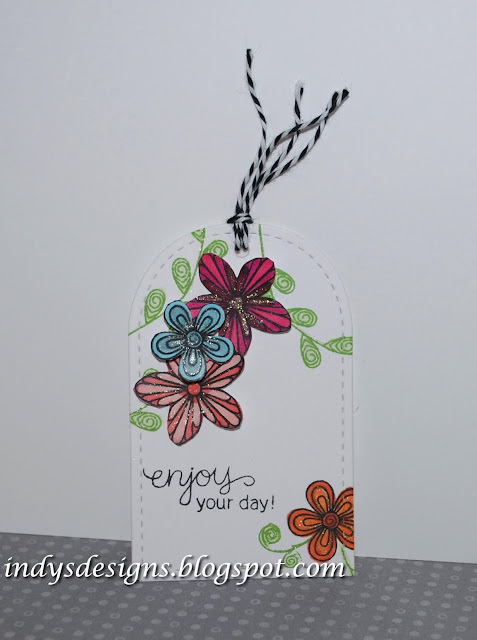 What a beautiful tag, love the flowers and the shimmer! Ooh, I do love a sparkly flower! 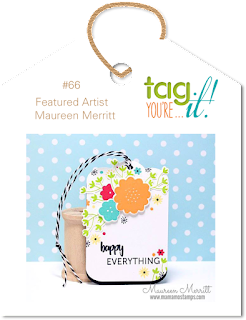 Beautiful tag and we're so glad to have you along with us this week!